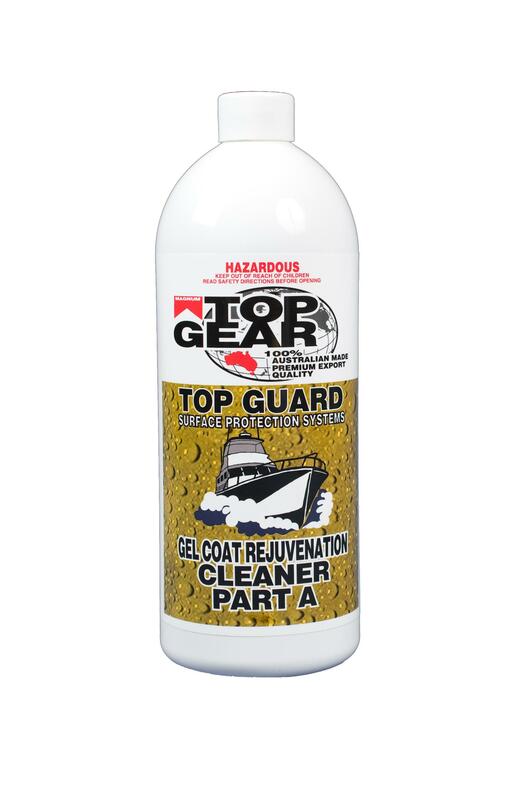 Top Gear Gel Coat Rejuvenator Cleaner Part A is a highly concentrated cleaning solution that penetrates deep into the gel coat surface to dissolve and remove impurities. Application is with a hand trigger pump. Do not use Rejuvenator Part A without using Rejuvenator Part B one minute later.